So turns out there may be a secret behind Harnarayan Singh's epic hockey calls. The "Hockey Night In Canada Punjabi" co-host was thrust into the viral spotlight during last year's Stanley Cup finals with his "Bonino! Bonino! Boninoooooooooo" goal call. Singh refers to the long note in his call as a Punjabi heyk — and credits a meal swap he made during intermission. 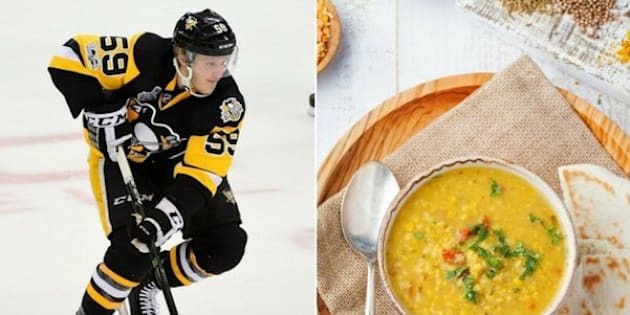 He traded his pizza slice for analyst Harpreet Pandher's dal (spicy Indian lentils) at intermission, Singh revealed in a Facebook post. There you have it. Indian food = amazing hockey calls.